Cardinal Gianfranco Ravasi, the president of the Pontifical Council for Culture, has been chosen by Pope Benedict XVI to lead the Lenten Retreat for the Roman Curia. The Italian cardinal will be the first head of a Vatican dicastery to preach the Lenten Retreat during this pontificate—although Cardinal Francis Arinze had only recently retired from his post as prefect of the Congregation for Divine Worship when he led the spiritual exercises in 2009. 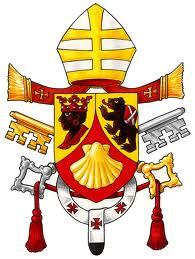 Last year’s preacher was Cardinal Laurent Monsengwo Pasinya of Kinshasa. 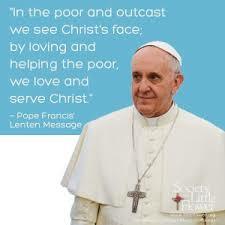 The week-long Lenten Retreat will begin this year on March 17. 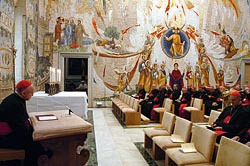 During the retreat all papal audiences are suspended, and work in other offices of the Roman Curia is curtailed as ranking prelates join the Pontiff for the meditations, which are held in the Redemptoris Mater chapel of the apostolic palace.